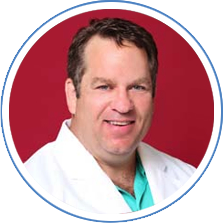 Dr. Kutchback is an experienced podiatrist who has served The Woodlands and Woodville areas with comprehensive and up-to-date care since 2005. Dr. Kutchback is well educated in all areas of the foot and ankle, and is especially capable in handling problems such as wound care and sports & traumatic injuries of the foot and ankle. His skills range from conservative care to surgical solutions and advanced biologics for patients pediatric to geriatric, and anywhere in between. As a volunteer youth coach and family man, Dr. Kutchback understands that foot and ankle problems can greatly affect the quality of your life. To this end, Dr. Kutchback and his staff offer complete and personalized care to The Woodlands and Woodville, and are committed to ensuring a calm and comfortable experience to every patient.